Assistant State Attorney, 11th Judicial Circuit, Miami, Florida, 1986-1987. 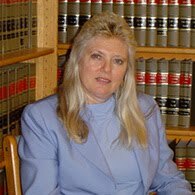 Straight from law school, Ms. Haas was in the courtroom daily, handling 30-40 hearings or trials herself for Janet Reno, Former Attorney General. Associate at Marlow, Shofi, Connell, Valerius, Abrams, Lowe & Adler, 1987-1990. Insurance defense in civil trial & appeals courts, state and federal. Ms. Haas served as appeals counsel, preparing extraordinary writs, non-final appeals, and final appeals in civil courts, state & federal. She served as appellate counsel in the trial court, handling default and summary judgments, declaratory judgment actions over insurance matters, and advising trial counsel how to preserve error and put a case in the best possible posture for settlement or appeal. She handled everything from default and summary judgments, depositions and trials, and declaratory judgment actions over insurance matters. Areas of law included complex personal injury, insurance & commercial matters, medical & legal malpractice. Highest AVVO Rating "10 Superb"